Emergency Flashing Light offers the highest level of roadside safety for on-the-road or child-at-play situations and more! Can be used as a road flare, emergency beacon, marineapplications, camping and outdoors. Sometimes it's hard to run away from accidents on the road, however, you can make sure the accident won't turn into a serious one. 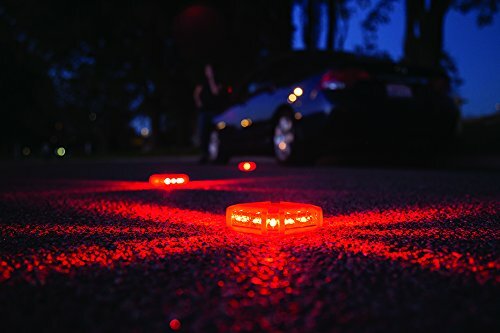 Take this Emergency Flashing Light with you on the road because it can produce flares that are visible from 2,600 feet away giving an early warning signal for other drivers and passersby. It’s also very handy since it has 9 warning lights with SOS rescue and 3 LED flashlights. Protect yourself well with this NOW!